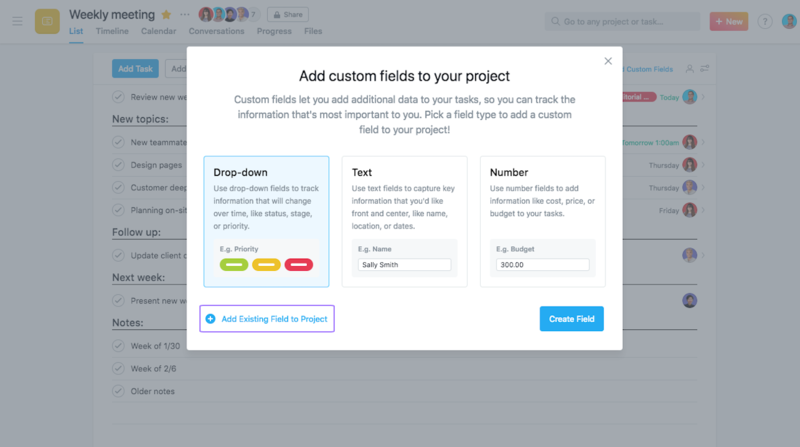 Custom fields let you add additional data to tasks in your Asana projects. 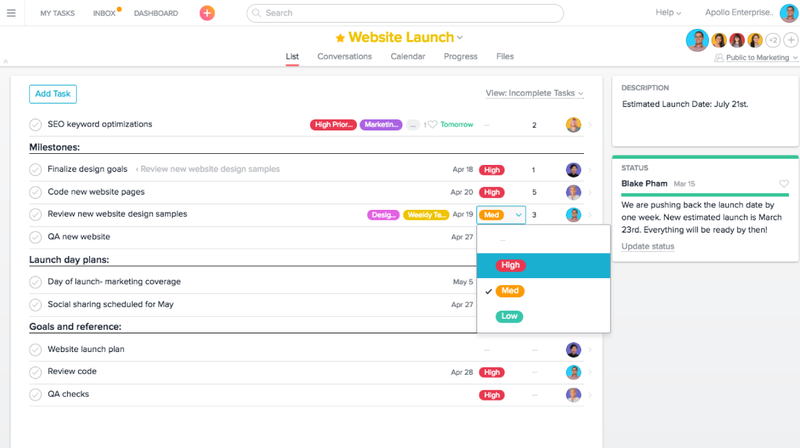 You can create a field for stage, priority, cost, or anything else that’s important to your workflow, team, and company. This lets individuals have clarity on work happening across their Organization. 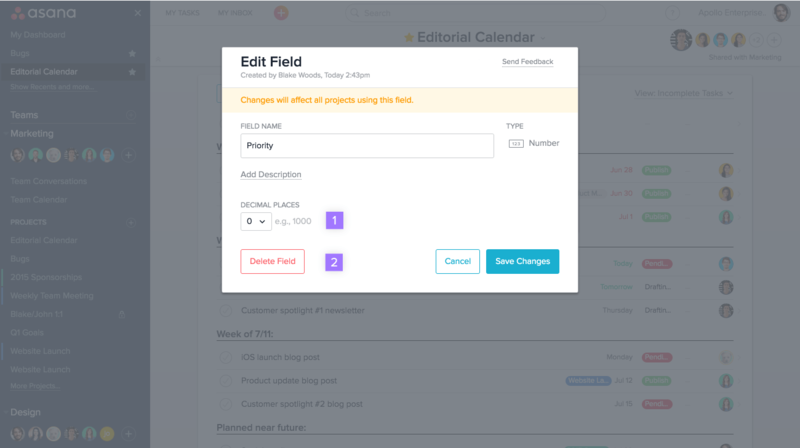 Drag and drop custom fields to rearrange them in your project. 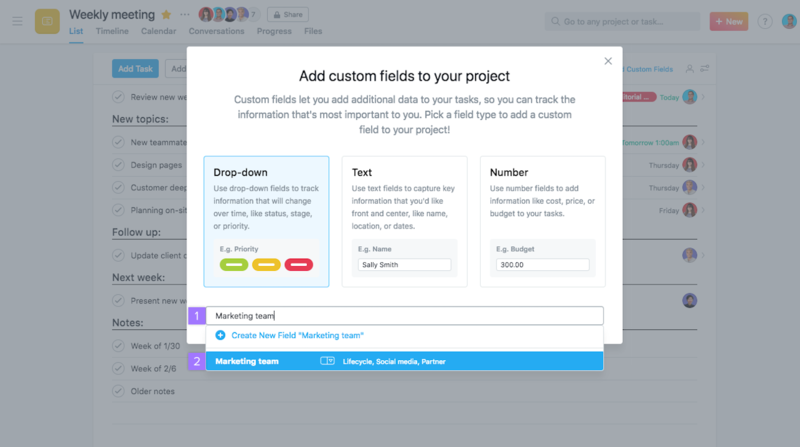 Add custom fields to better track and organize the tasks in your project. After a custom field has been created, its field type cannot be changed. It is currently only possible to have 20 fields in a single Project. 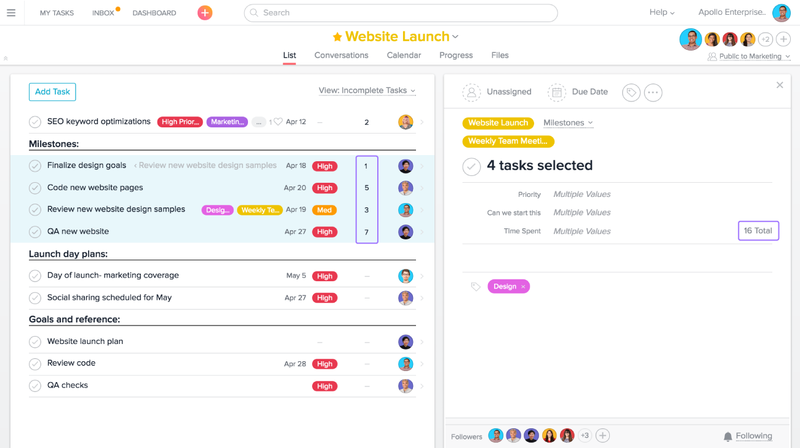 You can have up to 60 fields per task (this can be done by multi-homing multiple projects to a single task). 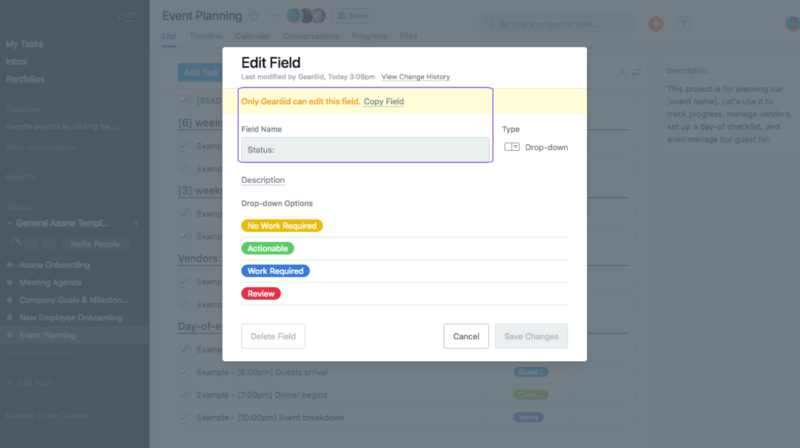 A dropdown Custom field can only have up to 50 options. 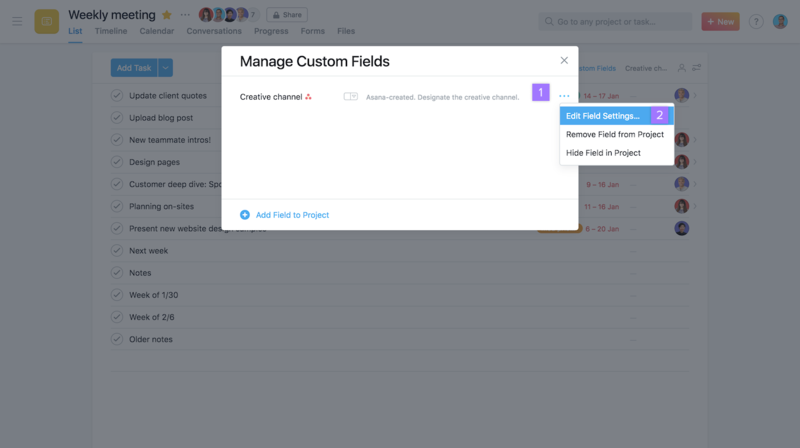 Custom fields are global across your Organization, so you can use a custom field across multiple projects. 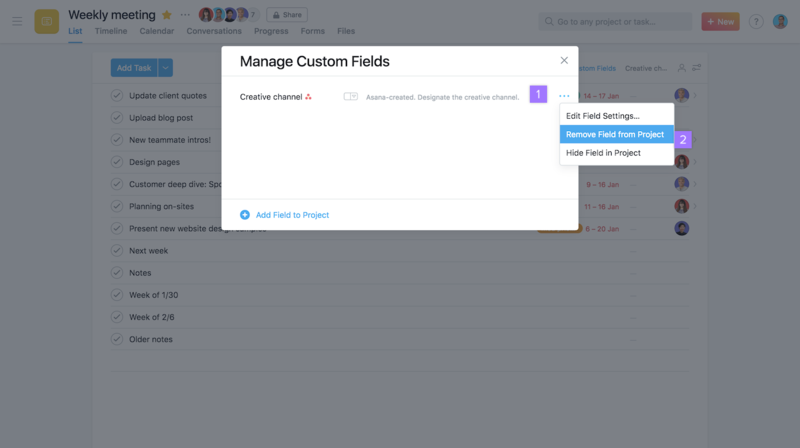 If a task belongs to multiple projects that have different custom fields, all fields will appear in the right pane’s task details. By default, all custom fields will appear in both the right pane and the main pane task list, but you can hide a custom field’s column from the main pane’s task list via the Manage Custom Fields dialog box. 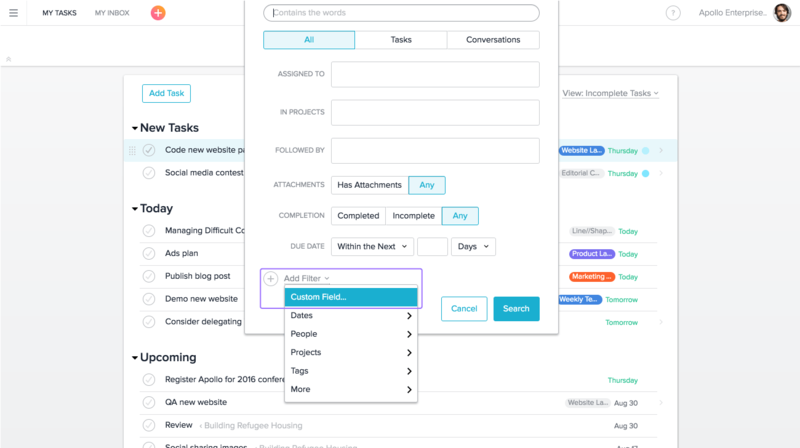 You can display up to 5 custom fields in the task list, but up to 60 on an individual task. To change which fields are displayed, go to the Manage Custom Fields section within the project actions menu and click on the gear icon next to each field and change display settings. 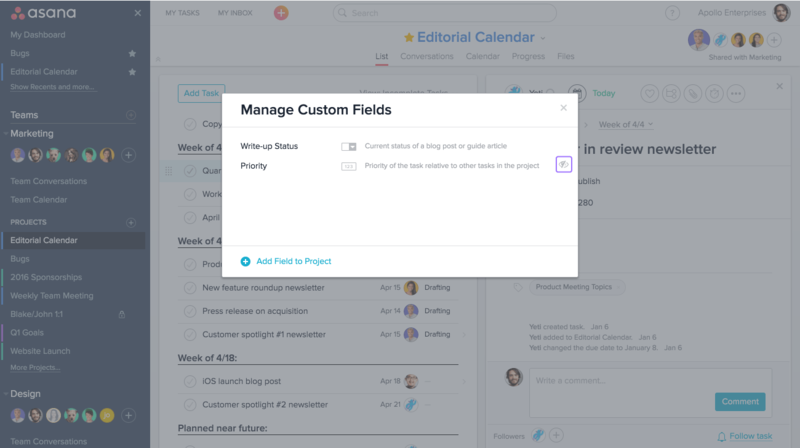 If a field is hidden from the task list, an icon depicting an eye crossed out will appear next to the field in the Manage Custom Fields dialog box. Once the field has been hidden, it will no longer appear in the main pane, but can still be seen in the right pane. Since custom fields are global to your Organization, edits made to them will apply globally to all the projects you use the field with. 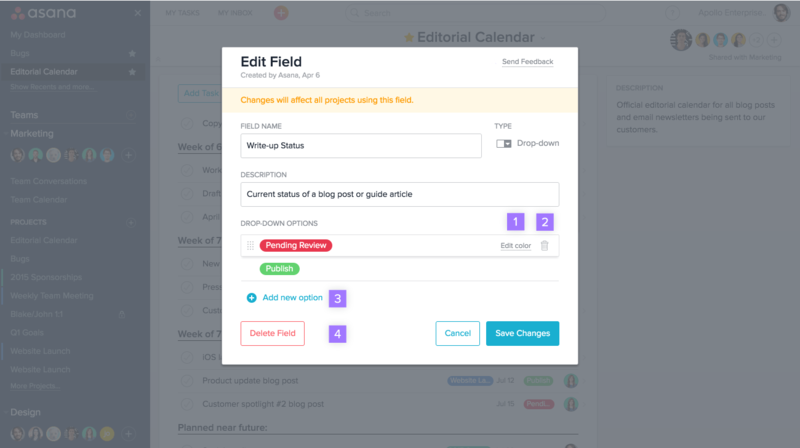 Drag and drop the drop down options to rearrange them in your custom field. If you remove a drop-down item as an option in your field, tasks that use that item will retain the deleted item. The field could then be changed to another value, but you are not able to change a field back to a deleted item. Reducing your field’s decimal places will retain all current values, but they will be rounded up/down. Increase your field’s decimal places and the original value will appear again. Remove your field from a project if it is no longer needed or applicable. 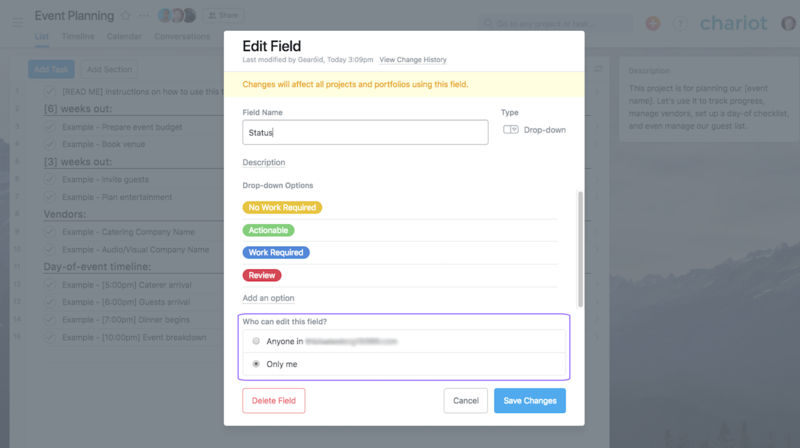 Use the view settings options to sort your project by one of your custom fields. Click the Sort dropdown menu and select the custom field you wish to sort your project by. Adjusting a task’s custom field value will automatically re-sort the project. 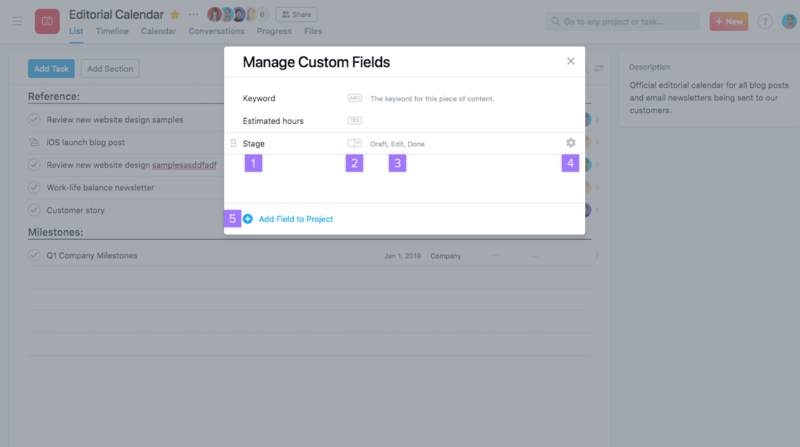 Use Search Views to search for tasks using the same custom field across multiple projects. 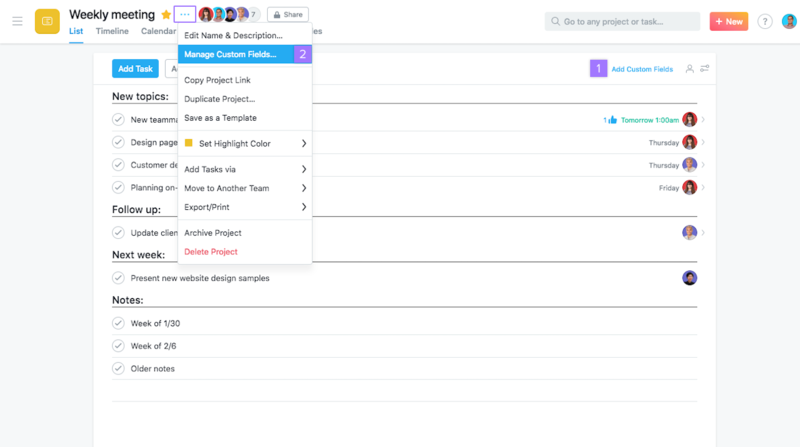 In a premium team or Organization, anyone with access to a project can add, edit, or remove its custom fields. In private projects: the project owner and the project members can view and modify the project’s fields. 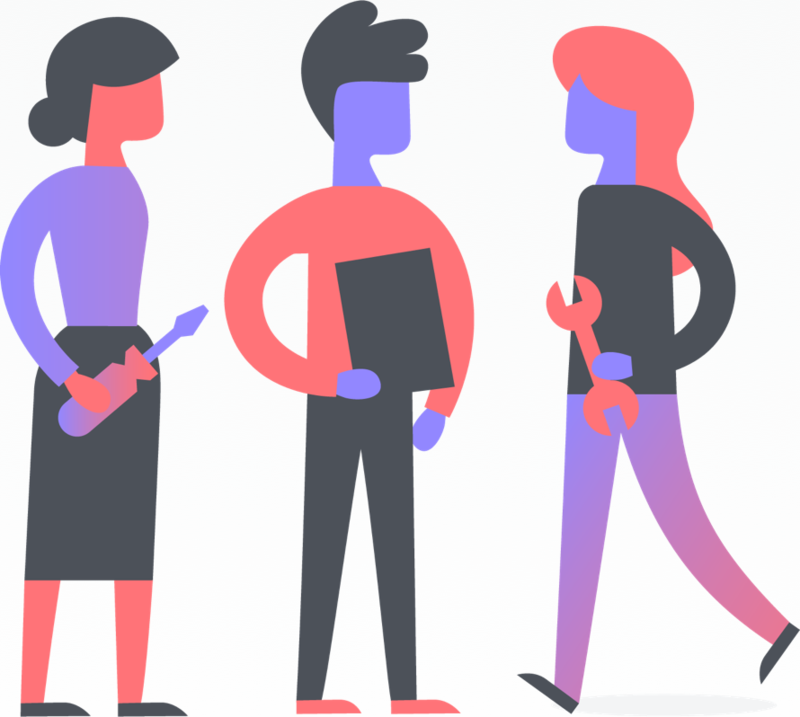 Public projects in a request to join or Hidden Teams: the project owner, the project members, and members of the project’s Team can view and modify the project’s fields. Public projects in a public Team: the project owner, the project members, member of the project’s Team, and all Organization Members can view and modify the project’s fields. 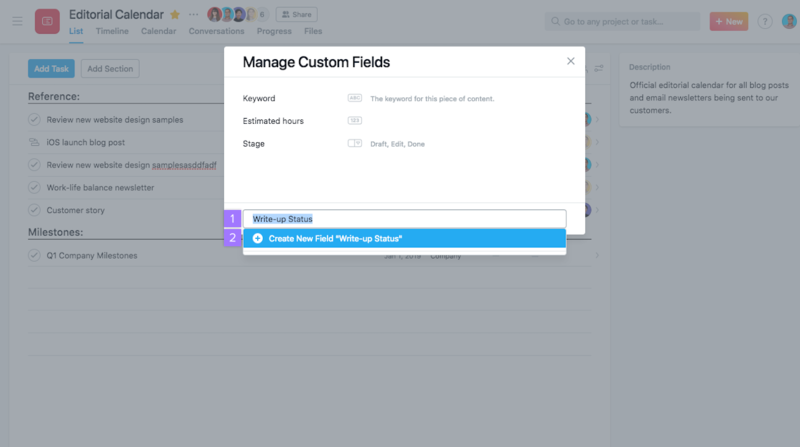 Business and Enterprise customers have the option to lock custom fields either upon creation or when editing an existing field. If a field has been locked, you will see the name of the Member who locked the field. 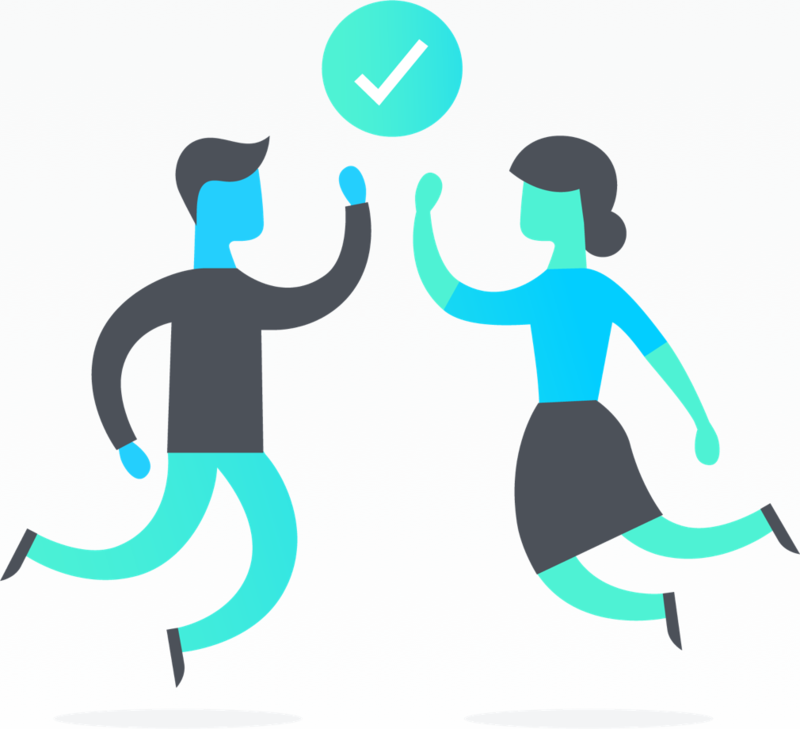 The custom field lock can be overridden by the member who locked the field or an Asana admin at any time. Anyone with access to a task can modify the values of its custom fields. 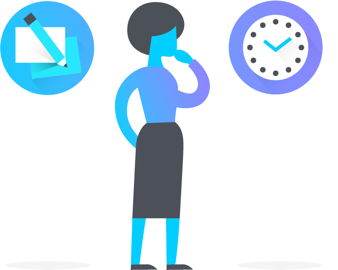 Learn more about task permissions here. 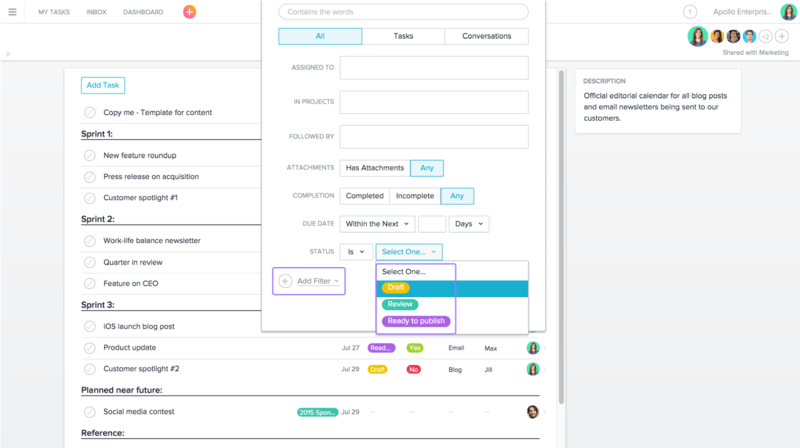 You can use custom fields to indicate a task’s priority level. 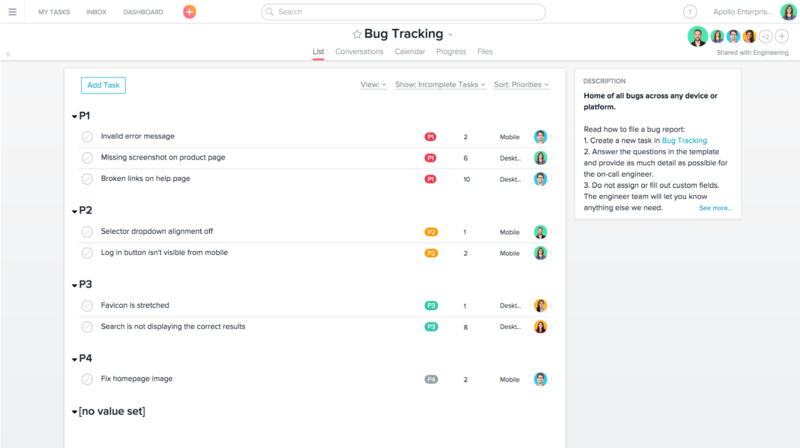 For example, an engineering team using Asana for bug tracking, can create a drop-down field to set the priority level (low, medium, high) of the bug. Once implemented, you can sort by your drop-down custom fields to group similar fields together in the List View. 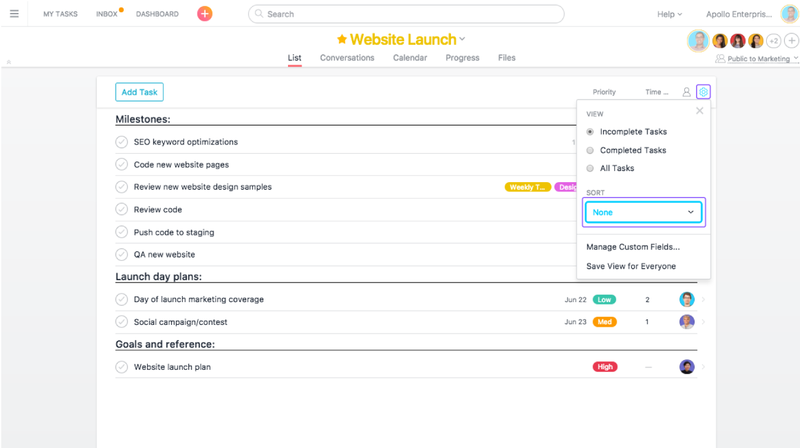 Click View at the top of your task list, then FIlter and Customize View. Click Sort, and select your custom field. Use colors to distinguish between the drop-down field options. Red can mean “high priority”, for example. If work moves through stages or phases, you can create a drop-down field to mark which stage the work is in. As that work progresses, you can change the stage accordingly. 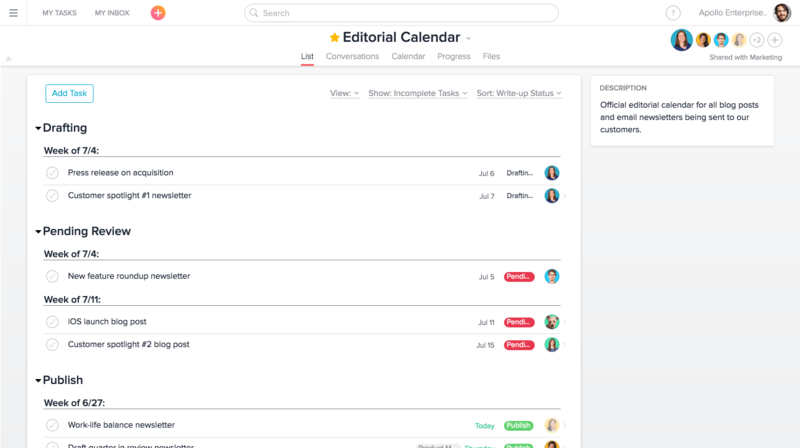 A marketing team could track the stage of each content piece to get a better idea of their editorial pipeline, for example. 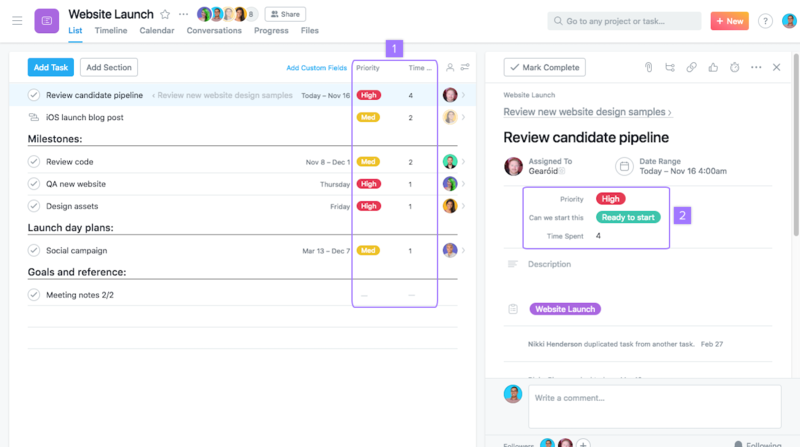 If you want to single out only the tasks marked with a certain field across different projects, you can do an advanced search by that field’s name. 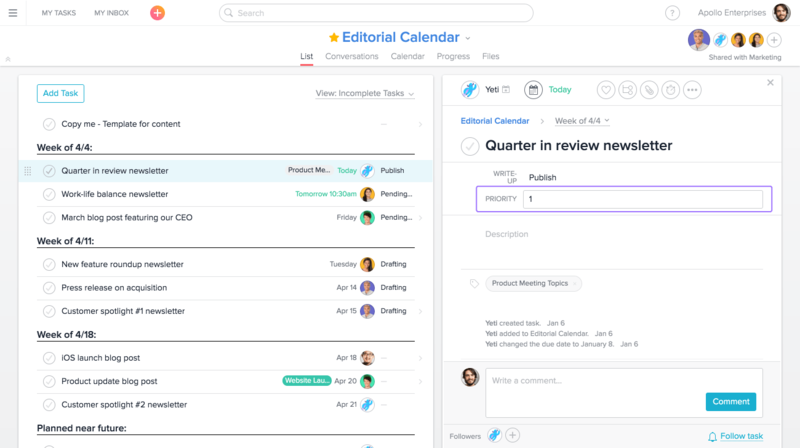 For example, the content marketing manager could do an advanced search for only the tasks marked as “draft” to find out how many new content pieces are in the works across the entire team. 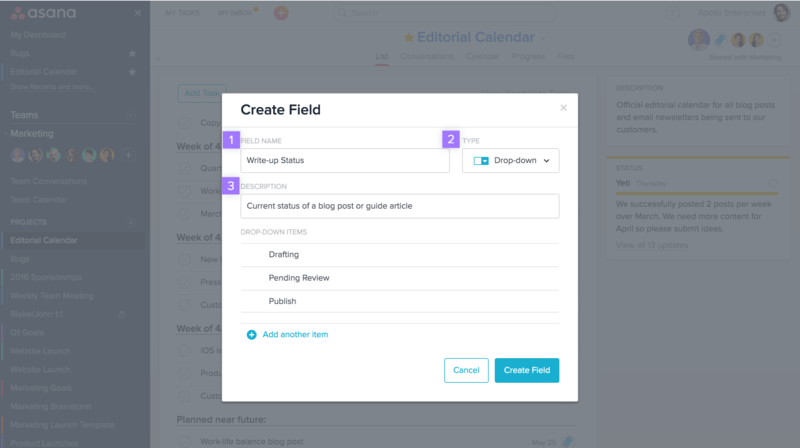 Another way to use custom fields is to track work requests and time costing. 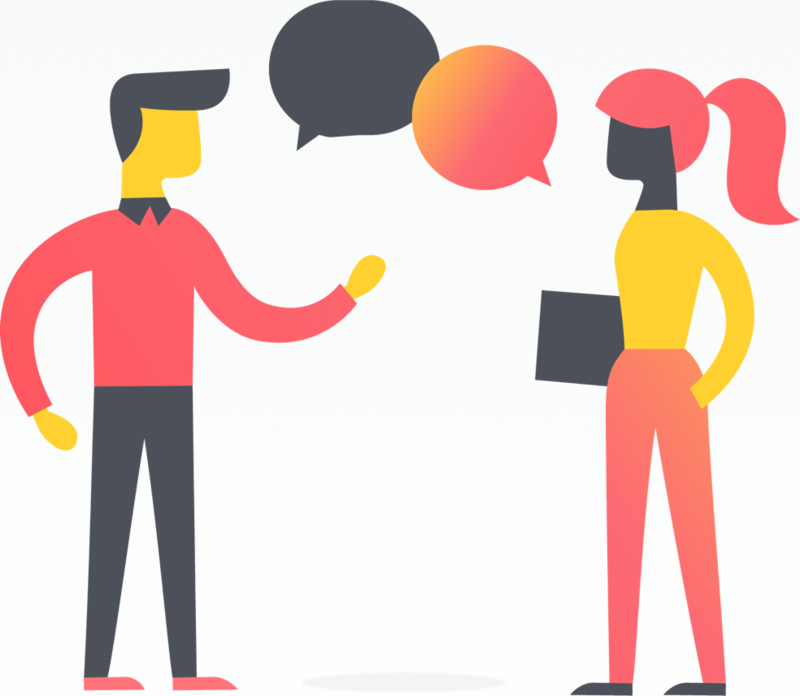 A design team might have a template task for others to make design requests. They could use a number custom field for the requester to input how much time they anticipate for the work. 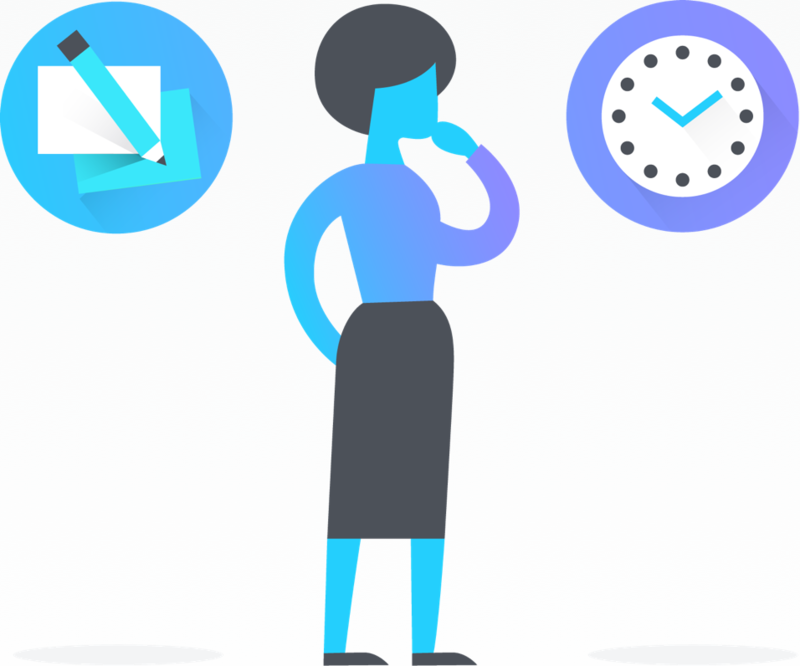 Then, designers can prioritize hours accordingly and know how much they’re working on before deciding to take on more work or not. 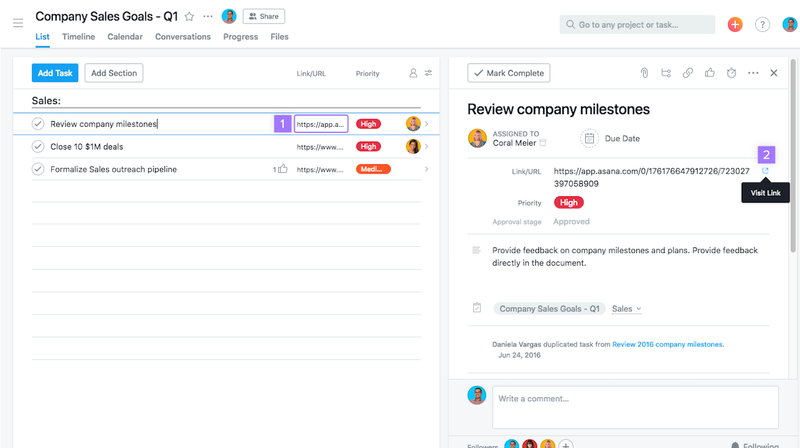 If you use Asana for candidate tracking or account tracking, you can use a text field to enter specific information like an email address, phone number, company, or address. 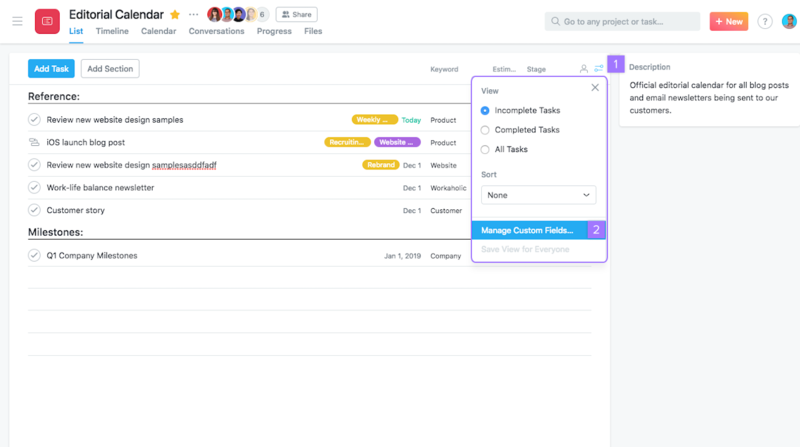 It’s important to note that subtasks do not automatically inherit the projects, tags, nor the assignee of their parent tasks, even though you might see the name of the parent’s project at the top of the subtask details pane. You can track links in custom fields when using a text field. If you enter a url link in the text field, you can then access the link directly from the task pane. Once you click a link from a custom field, the page will open in a new window. 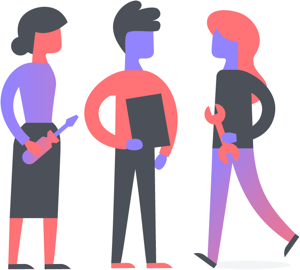 Custom fields are only available to teams and Organizations on Asana Premium.